SAN DIEGO, Feb. 11, 2019 /PRNewswire/ -- Bridgepoint Education, Inc. (NYSE: BPI) today announced the appointment of John Semel to the position of EVP, Chief Strategy Officer, reporting to CEO Andrew Clark. 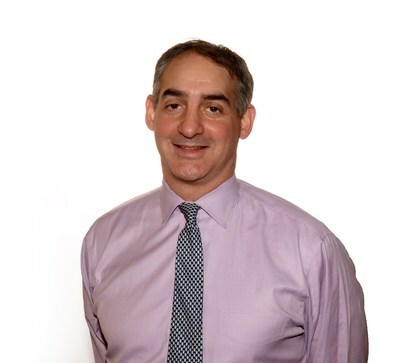 Mr. Semel will lead the execution of the company's merger and acquisitions strategy, working with business units and corporate functions on industry research and analysis, along with financial evaluation and modeling for merger and acquisition opportunities through the integration process. "John has a strong background in strategy and business development that will serve Bridgepoint well as we continue our transformation to an education technology services company. His experience developing strategies that drive growth for organizations in the education industry, along with his investment and acquisition expertise, will help us meet our strategic objectives," said Bridgepoint CEO Andrew Clark. Mr. Semel has spent more than two decades at the intersection of traditional media, education and technology. He was most recently interim Chief Strategy Officer of Apollo-backed Mood Media, where he drove strategic planning, strategic partnerships, and product development for new revenue sources. Prior to Mood, he was the Chief Strategy Officer of John Wiley and Sons. During his eight years at Wiley, Mr. Semel developed and led strategy, helping to build their online education business, Wiley Solutions. Over his career, he has held senior strategy and principal investment roles for MTV Networks, The Hearst Corporation, Everger Investment Associates, and PRIMEDIA. He began his career at JP Morgan and Company as an analyst and then associate in Equity Capital Markets and Syndicate before moving on to High Yield Capital Markets and Syndicate. He holds a B.A. in Greek and Latin from Brown University and an M.B.A. from Harvard Business School. Bridgepoint Education, Inc. (NYSE:BPI) harnesses the latest technology to reimagine the modern student experience through programs, technologies, and resources representing a unique model for advancing education in the 21st century. Bridgepoint stands for greater access, social learning, and exposure to leading minds. For more information, visit www.bridgepointeducation.com, www.facebook.com/BridgepointEducation, or call Lauren Coartney at 858.513.9240 x11636.